Granite State Ambassadors carries Volunteer Accident coverage for all of our active volunteers. It is not an insurance substitute for any insurance you may now carry, and only applies while you are performing your assignment as a volunteer in the GSA program. Prior to submitting a claim, you must send a report to NHGSA about your accident / incident right away. 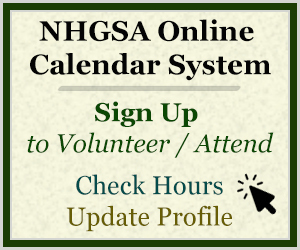 If you have any questions, please contact Kelly at kelly@nhgsa.com. Any benefit limits and Benefit Percentages for Accident Medical Expense Benefits apply, unless otherwise specified, on a per Covered Person – per Covered Accident basis. Any applicable Deductibles must be satisfied within the time periods specified before benefits are payable. Replacement or repair of eyeglasses, contact lenses or hearing aids 100%; limited to $50 for repair or replacement of eyeglass frames; $50 for replacement of prescription lenses; and $50 for repair or replacement of hearing aids.